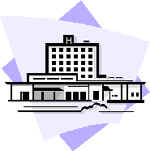 ProCoat Products, Inc. » Blog Archive Healthcare - ProCoat Products, Inc.
Managers of health care facilities are confronted with issues that are unique when compared to other disciplines. Particularly where elderly patients are to be considered, noise, odor and other factors are extremely important. The strict maintenance of fire-retardant and acoustical qualities of the ceiling must be maintained and/or even improved. When the patient census is high and room availability is nil, any renovation work must be conducted in the most efficient way. The less time it takes to prepare the room for a new patient, the better. A “quick fix” is also not the answer if the resulting appearance is anything short of new. If the renovation of the space is to be managed by a general contractor (a major project), specifications need to be prepared to ensure that the project is completed in accordance with the owner’s standards. Project Specifications and technical information on all products are available by simply clicking on the following icon. Preventative maintenance is also an issue when it comes to acoustical ceilings. A simple water stain can ruin a perfectly fine ceiling, as can a workman’s fingerprint. ProCoat’s Acoustical Tile Restorer in Aerosol allows maintenance personnel to touch up the spot in a one-step application. And, with the ProCoat Easy Reach Spray Adapter, this can be done without the need of a ladder. Other maintenance products are also available. Every facility manager is frequently confronted with one or more projects where budgets are tight and scheduling is critical. If the final design calls for an acoustical tile that is similar to the one presently installed and that ceiling is structurally sound (the ceiling tiles are dry, flat, and unbroken) acoustical ceiling restoration is an ideal alternative to replacement with new tiles. A ceiling that has been restored, using ProCoustic to attain a new surface finish, will disperse more light thereby creating less energy demands on artificial sources. Also, a restored ceiling with ProCoustic will hold its color longer, and absorb more sound, than if a new ceiling were installed. That is why it is commonly accepted that when it comes to acoustical ceilings, new are not necessarily better.